Incredible views from 7th Tee of the Executive Lake San Marcos Golf Course. 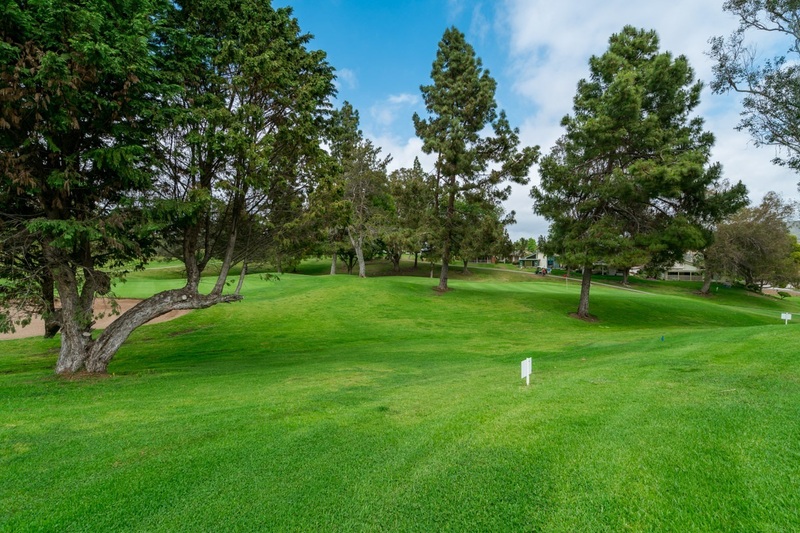 Panoramic views of 4 fairways. Preferred 3 bedroom, 2 bath, 1528 square feet Country Greens home on quiet culdesac. Vaulted ceilings in living room and master bedroom. Neutral tile flooring in kitchen, hallway and baths. Milgard windows throughout. Epoxy flooring in garage. Country Greens has own private pool, tennis, paddleboard and basketball courts across from Tap-In-Tavern Golf Club and Restaurant.